Antonio Conte says he is committed to Chelsea even though reports continue to suggest the Italian will be leaving Stamford Bridge this summer. 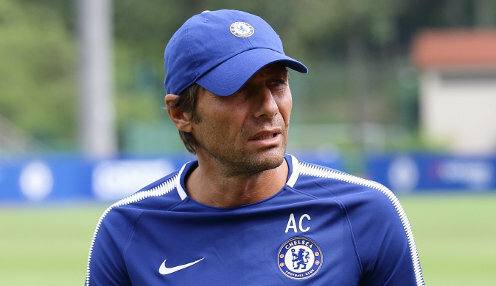 The former Italy manager guided the Blues to a 1-0 victory over Manchester United in the FA Cup final on Saturday but Chelsea will not be involved in the Champions League next season as they only managed to finish fifth in the Premier League this term. Conte won the Premier League title in 2016/17 but has spoken of his unhappiness with the depth of his squad for several months. He said after his side's Wembley triumph: "I am the first to accept every decision for the future. Because after these two seasons I will always love this colour, these fans, this club. And also if my future must be in a different way. "I think that after two years the club knows me very well. If they want to continue to work with me, they know me. I can't change. "To miss the Champions League is not good for a club like Chelsea. When you have this type of season, there are moments when you have a lot of questions for yourself. But also in a difficult season like this, I showed that I am a serial winner." Chelsea are available at 12121/1 to win the 2018/19 Premier League title outright, while Manchester City can be backed at 2/9, Manchester United at 12121/1 and Liverpool at 3/1.